You have always dreamed of owning a waterfront home, and you are thinking about making the plunge. Do not assume that because you bought your current home successfully you can buy a waterfront home using the same methods. Waterfront homes are different as they more expensive and deal with unique issues such as bulkheads and more expensive insurance. Its important that you buy the right property. If you are not careful you may end up owning a property that becomes more of a headache than a long-term financial investment. Needless to say, living on the water can be a luxurious feature of your new home, but it pays to know some of the pitfalls of living on the water. • Make sure that the property is inspected for damage from the elements. Beachfront homes are susceptible to the elements because they are so close to the water. Oftentimes they could suffer structural damage. With many waterfront homes built on stilts and highly elevated, they don’t have the same type of foundation as a traditional slab property. If you don’t have a thorough inspection done you may buy a property that will cost you a lot of money. In addition to a traditional home inspection, you may want to look into a structural inspection done by a structural engineer. • Don’t just look at the structure. Pay close attention to the water aspects of the property too. Is the water navigable? Are there any water rights given to others such as littoral rights or riparian rights? Do you own the proper water rights for the water that your home is on? Needless to say, if you are purchasing a beachfront condo – you wont own the ocean, but if you are on a lake or river – there are very specific real estate water rights that may be applicable. • Pay close attention to Flood Insurance. Many homes across the country have to pay for flood insurance in addition to standard homeowners insurance, but if you are living adjacent to the water – you may have a more expensive policy than expected. If you are on the beach – you may be in one of the new flood zones called “flood zone V”. Flood Zone V – is a Velocity flood zone. These types of flood policies take into consideration that your home could be damaged by the velocity of a hurricane and have very expensive premiums. • Take into consideration the popularity. For instance, if you are buying a waterfront home in Madisonville LA on the Tchefuncte River – you will want to make sure that you are OK with boating traffic on the river on a constant basis. If you are purchasing a condominium in Panama City Beach, you will want to make sure that the huge influx of college students for Spring Break doesn’t drive you mad. • Find out whether you are allowed to make any modifications or additions to the property. You may buy a beachfront home with the idea to add a dock or pier, for example, only to find out that your homeowners association does not allow you to do so. You should also find out what activities are allowed on the beach as some beaches restrict some activities. • It is sometimes harder to get financing for a beachfront home than a typical property. Since these homes are more expensive lenders are usually reluctant to issue mortgages against them. To make it easier to get a loan you should make sure that you have all of your financials in place as well as the down payment – if you have a bigger down payment you will find it easier to get a loan. • Don’t deal with just any Realtor – find one who specializes in waterfront properties. As mentioned earlier, these homes are unique and have unique aspects that need special attention. 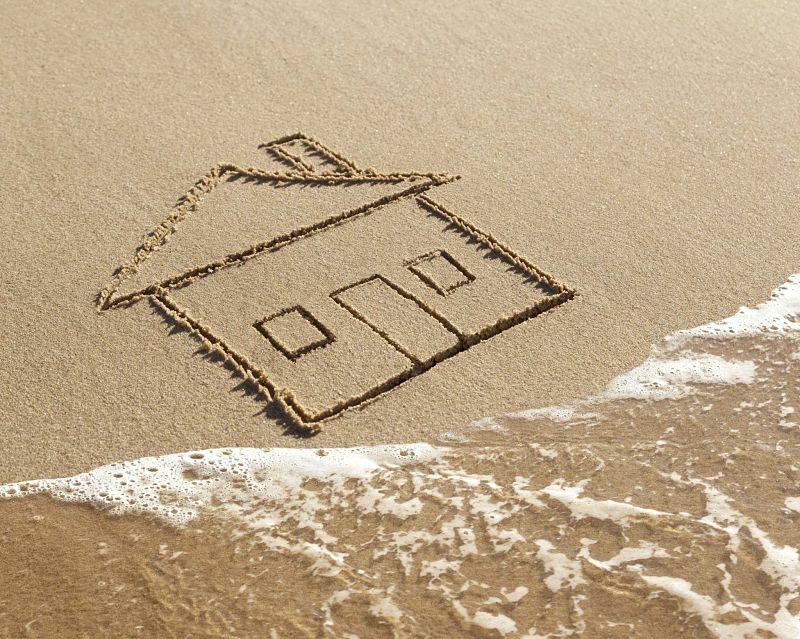 Only a realtor who has experience with beachfront homes can find you a good property. Choosing the right real estate broker can make all of the difference in the purchase of your new waterfront home. • If you will not be living in your waterfront home full time you should consider renting it – people love to vacation in beachfront homes, and you will make some money in the process. Leasing out your home as a vacation rental can provide some additional income.